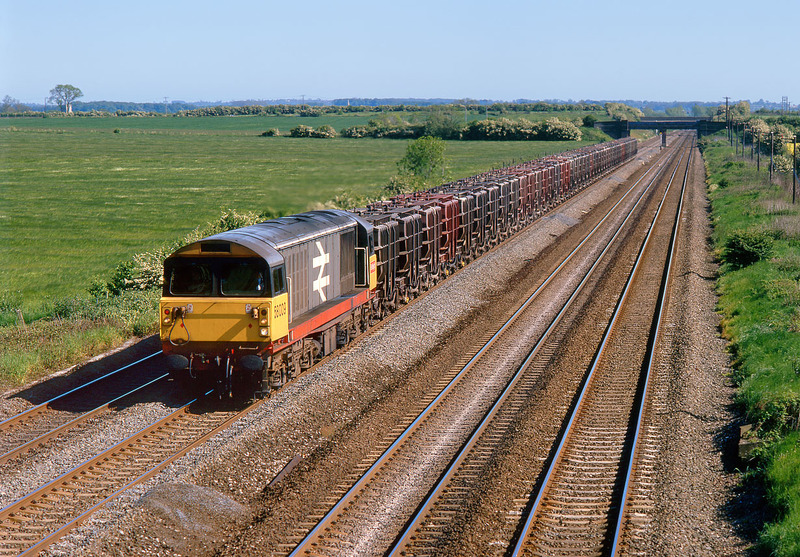 58009 passes Cossington with the 6M46 15:35 Fletton to Ratcliffe Power Station flyash empties on 1 June 1985. The disposal of power station ash from both Ratcliffe and West Burton to the former brick pits at Fletton, near Peterborough, for many years used these rakes of CSA Presfo wagons. This was the first picture taken with my newly purchased Pentax 6x7 roll film camera, bought from Jessops in Leicester a few hours previously!